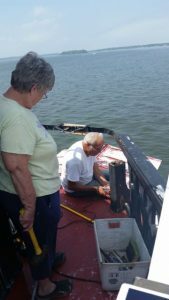 Workday: Thomas Point Lighthouse – April 30, 2017 – Chesapeake Chapter U.S.L.H.S. Cathy and Howard work on railings. On Sunday April 30th, we had a small crew for the first workday of 2017 head out to Thomas Point Lighthouse. 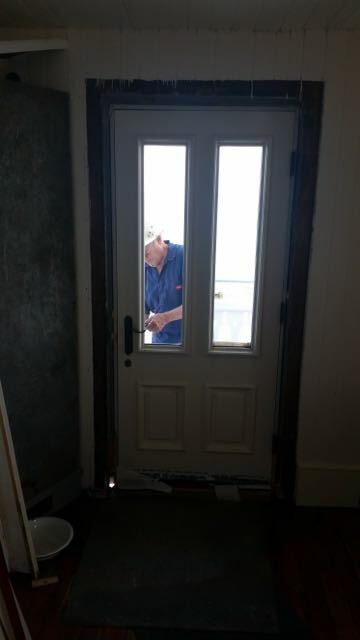 Wood for the workroom was loaded onto the boat and delivered to the lighthouse. Work continued on the railing posts around the lantern room. The railings on the main deck have all been replaced thanks to the hard work of Cathy and Howard Lewis. The lock on the kitchen door was oiled. 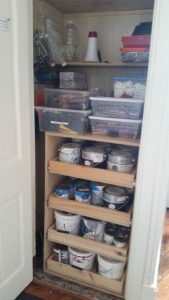 The closets were organized in preparation for the preservation season and the paint was sorted, labeled and put into a new paint cabinet that was built by Karl Kosoks over the winter. 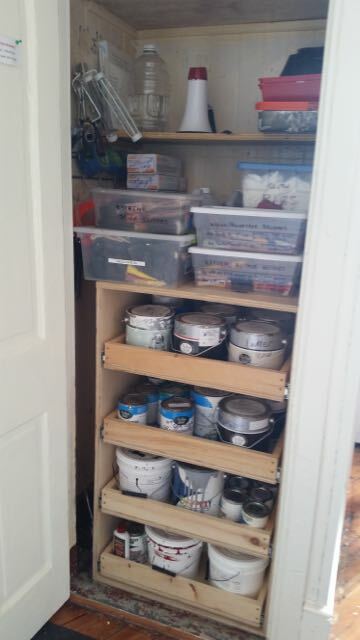 That will make finding and storing the paint so much easier. Thanks Karl! 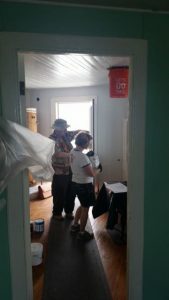 Cory and Shawn organize paint. Bob Stevenson works on kitchen door lock.